Today we present the judges of the Contest of Design of Biodiversity, integrated in the FIIN 2018. We remind that the contest is open until June 30, 2018 and has had a strong participation until the moment. Meet the judges of the contest. Marco Correia is graduated in Communication Design for the Fine Arts Faculty of Lisbon, having received formation on scientific illustration at the atelier of Pedro Salgado. Nowadays is an Assistant Teacher of drawing and scientific illustration at the Arts and Design Superior School of Caldas da Rainha. Have teach scientific illustration in several courses of which stand out the Masters in Scientific Illustration of the Superior Institute for Science and Education (Lisbon), the Masters in Illustration of the Artistic Superior School of Guimarães and the Course of Improvement in Scientific Illustration of the Federal University of Triângulo Mineiro (Uberaba – Brasil). Awarded illustrator at the national and international level, with some of his work published in several editions of scientific and dissemination journals. 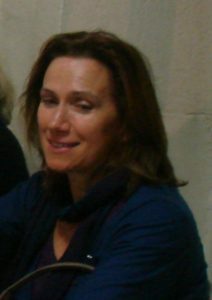 Is a founding member and vice-president of “Grupo de Risco” (www.grupoderisco.com), developing activities in the area of field drawing, through expeditions conducted in several natural areas in Portugal, Brasil and São Tomé e Príncipe. 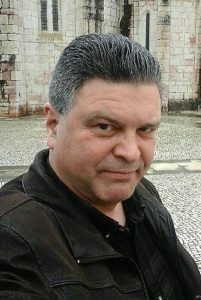 Marcos Oliveira was born in 1967. He is graduated in Art History and an illustrator since 1994, being specialized in biological scientific illustration and historic and pre-historic reconstruction. As a freelance illustrator, Marcos Oliveira has collaborated with several public institutions, city councils, publishers and ONGs (ICNF, Bioria Estarreja, CIBIO, LPN, Vale do Côa Archeological Park, Lisbon Oceanarium). His work have been published in numerous books, magazines, maps, posters and information panels. Uses traditional illustration techniques with preference to watercolor. Maria Romão Ferreira holds a degree in Plastic Arts from the Superior School of Art and Design of Caldas da Rainha and a Master’s Degree in Visual Arts Teaching from the University of Coimbra. She took the Training Course in Scientific Illustration at the University of Aveiro, where she is a student of the Doctoral Program in Biology in the specialization in Communication, Dissemination of Science and Biological Illustration. He collaborates regularly in some of the projects developed by the Laboratory of Scientific Illustration of the University of Aveiro. She is an illustrator and teacher of Visual Arts. 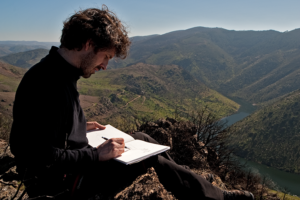 He taught the Free Courses of Illustration and Painting Techniques at the Coimbra Higher Education School and the Free Nature Drawing Courses at the Botanical Garden of the University of Coimbra, addressing traditional and digital techniques. She was awarded, along with her students, various artistic projects related to the city of Coimbra.